Before the start of "The Free Beer & Hot Wings Morning Show" today, Joe showed us the picture below -- which he saw on Twitter. 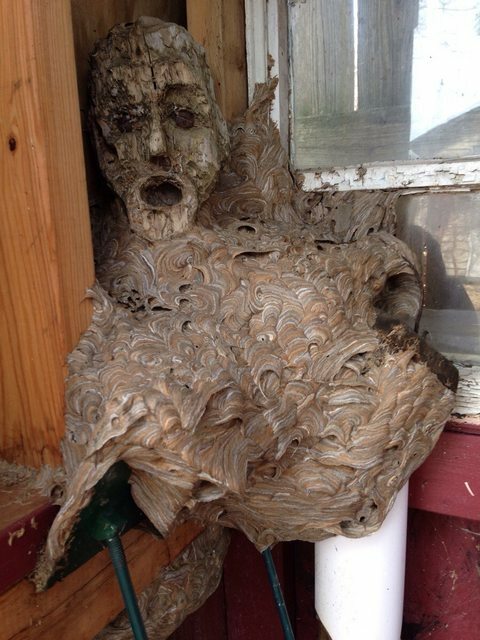 It was captioned with something like: "Wasp nest merging with wooden face is what nightmares are made of." Since Eric Zane is stupid, he couldn't grasp the concept of what the wooden face was, even though it seemed pretty simple to the rest of us -- and everyone else in the world.